This post marks five years of writing on the subject. It seems a good moment to stop and reflect on the reasons I’ve been writing, and to explore what has changed in my lifetime. I’ve tried to keep the material mostly about the science and its implications. It hasn’t always been easy, as there is in the background, from what I would call the “Second Wave” of transactivists, a powerful and very ugly, campaign of disinformation. Why do I say, “Second Wave”? Because I, and a few folks I knew from the ’70s and very early ’80s, were the “First Wave”. Silvia Rivera is of course oft mentioned when she spoke out from the streets of New York. I’m sad that I never got the chance to meet Silvia before she died. Other street warriors came forward, but their efforts were, sadly, largely symbolic, yet important none-the-less. One of these was Angela Keyes Douglas. I was with her the evening that she typed the infamous Sister letter that Janice Raymond would later, falsely, use as an example of transsexual misogyny, in her transphobic book, The Transsexual Empire. Angela angrily pulled it fresh from her typewriter and asked me to review it. It dripped with hyperbolic sarcasm, angry as she was over the transphobic treatment of Sandy Stone over her employment at Olivia Records, the seminal Womyn’s Music publisher. I too was angry at the treatment that Sandy was enduring, being on friendly terms with her as well, but I diplomatically reported, “It’s too full of anger to do any good.” Angela snorted, snatched the letter back from me, and posted it. Even then, in ’77, it was very clear that Angela’s mind was deteriorating from progressive paranoid schizophrenia. But in the late ’70s came Joanna Clark, Jude Patton, and Joy Shaffer, who I’m proud to say invited me to join them in founding the ACLU Transsexual Rights committee. Joanna and Jude also worked very closely with fabulously openly gay Paul Walker to continue the educational work of the recently defunct Erickson Foundation and to eventually found the Harry Benjamin Gender Dysphora Association (later renamed World Professional Association for Transgender Health (WPATH). One night in the mid ’80s, Paul Walker, Joanna, Joy, and I were bar hoping in San Francisco, when we entered a bar that Paul liked to frequent, catering to mostly transwomen of color. The patrons took one look at the towering whiteness of Joanna and informed us that “This is a private club.” Joanna, with her typically irreverent, and oft dangerously inappropriate, sense of humor, loudly quipped, “Busted!!!”. These would be the serious activists that pioneered efforts to work with lawmakers and the courts, physicians, surgeons, clinics and scientists… to earn legal and medical recognition, to enable the majority of transfolk to transition and receive appropriate and respectful medical and legal services. From these early, daring days, came those that soon followed, expanding the ranks of organizations that took our early cutting edge openings, to expand it and now in most of the Western World we have nearly the legal recognitions and protections we need, with a few exceptions that we can all soon hope will be only a sad memory. In the early ’90s, transactivists across the Western World began actively lobbying their governments. 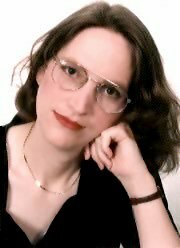 In late ’96, transactivist lawyer, JoAnna McNamara asked me to work with her lobbying the Oregon legislature to address language in a new bill that would have stripped transfolk in that state of protections that JoAnna herself had only recently won in admistrative ‘court’. I worked fulltime, alongside her, as we made appointments to speak to key legislators, using a deliberate one-two punch, in which she, as an older transitioner, not very “passable” would be assumed to be “the transsexual” discussed how transphobia worked to deny employment opportunities to transwomen like her. As I sat quietly taking notes, I was assumed to be her natal female assistant… until I spoke up about what discrimination awaits transwomen like me who pass, but are later discovered by their employer… The sudden shocking realization would cause the legislator to rethink their opposition to our position. It reached a climax in a public hearing about the bill in which the room was packed with transactivists that JoAnna and I had hurriedly put together on very short notice. We won. The anti-trans* languange was removed from the bill in committee. Six months of full time lobbying paid off. But from the very late ’90s came a Second Wave that took the previous work for granted… and started a new, and in my own personal opinion, disturbing direction. Not content with being able to transition and obtain legal recognition, these new activists have decided that they could bend the truth to their will, to use the power of the internet to coerce our best allies, the clinicians, therapists, medical practitioners, scientists, and even other transfolk, to ignore decades of clinical and scientific evidence regarding the uninvited dilemma that is transsexuality and transgender sexuality. To my shame as a transwoman and transactivist, transfolk I knew and respected turned from respectability toward waging a vicious propaganda and slander campaign. I first met Dr. Anne Lawrence in ’95, when Dr. Joy Shaffer brought her to have dinner at CedarStar, my Portland communal house. While I prepared dinner, Anne and Joy explained Blanchard’s theory. OF course, I totally understood and agreed, since I had been first educated about the very same issue when I was but 18 years old by my world wise transwoman of color friend, Marcella, who explained “older transistioners” as “… just TVs that need a bigger fix”. I remember being amused at the thought that the scientists were finally proving it. I first heard of Lynn Conway in 1982 from Joy’s father, who was a professor of electrical engineering. Prof. Shaffer had proudly informed me that Lynn was also transsexual, offering the information to strongly encourage me to finish my undergraduate degree and apply at Stanford Graduate School, urging me to study to become an engineer like Joy’s younger sister was at the time, (joining my boyfriend’s mother in chorus, who being an engineer herself, also wanted her son’s girlfriend to also be an engineer). 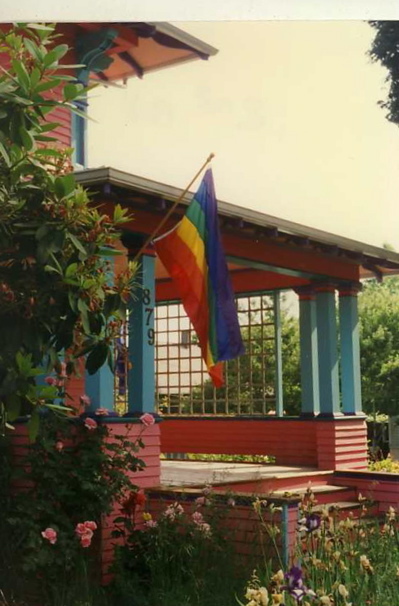 I finally met Lynn in the late ’90s, when she wrote to me regarding my TransHistory class I was teaching at the Harvey Milk Institute in San Francisco. I had taken advantage of the web to post my class notes, which brought me to her attention. I was very happy to finally meet this famous transsexual Silicon Valley pioneer. Of course, during our conversations, during her frequent visits, over dinner, lunch, and at my house, etc. I had a chance to explain Blanchard’s two type taxonomy. I was under the honest impression that she understood and agreed with it. “Beyond denying the role of autogynephilia in MtF transsexualism, some transsexual activists have mounted attacks on those who publicly disagree with them. In 2003, the first author published a book, The Man Who Would Be Queen, about male femininity, including MtF transsexualism. The section on transsexualism included summaries of Blanchard’s theory illustrated by transsexual women of both types whom he had met, and who agreed to let their stories be included. Upon publication, there was a firestorm of controversy among some MtF transsexuals. Most notably, the transsexual activists Lynn Conway (2006) and Andrea James (2006) led an internet “investigation” into the publication of the book. Conway (2004) likened the book to “Nazi propaganda” and said that it was “transsexual women’s worst nightmare.” As a result of Conway’s and James’s efforts, a number of very public academic, personal, and professional accusations were made against the first author. None of these accusations was true (Bailey 2005). The attacks on The Man Who Would Be Queen were precisely an attempt to punish the author for writing approvingly about Blanchard’s ideas, and to intimidate others from doing so. The second author was also attacked by some of the same transsexuals after she helped create the Website transkids.us. This website was created by a group of homosexual transsexuals, or “transkids,” their nonclinical name for themselves, to educate the clinical and research communities in the wake of the controversy regarding The Man Who Would Be Queen. The writings on the site both endorsed Blanchard’s distinction between homosexual and autogynephilic MtF transsexuals and criticized the standard feminine essence narrative as being both false and harmful to homosexual MtF transsexuals. Subsequently, Andrea James (2007) conducted highly personal attacks on individual transkids (including the second author), urging that these transkids be exposed and asserting that they were “fakes” because they would not reveal their identities publicly”. As an example of this attempt to intimidate those who might speak out… and “discredit” those who do, James spent a year trying to figure out who the last of the transkids.us website authors, “Cloudy” was… while simultaneously attempting to convince the trans-community that “Cloudy” was yet another “fake”. After she discovered that I was “Cloudy” she attempted to intimidate me by email and phone, in which Conway participated in a minor way. James, failing to intimidate me from further writing on this subject, produced a scandalously scurrilous webpage, describing me as both “fringe” and… well… you can search for it yourself. Let my experience be an object lesson for the NEXT wave of transactivists. It is not enough to work to change the world… we need to make sure that we ourselves maintain the values that we would wish in others: respect, cooperation, open-mindedness, kindness. We need to stand up against bullies, even our own… NO, Especially our own. Above all… we need to maintain and reward a search for the truth, even if it is an uncomfortable truth.